How does happiness get into chocolate? 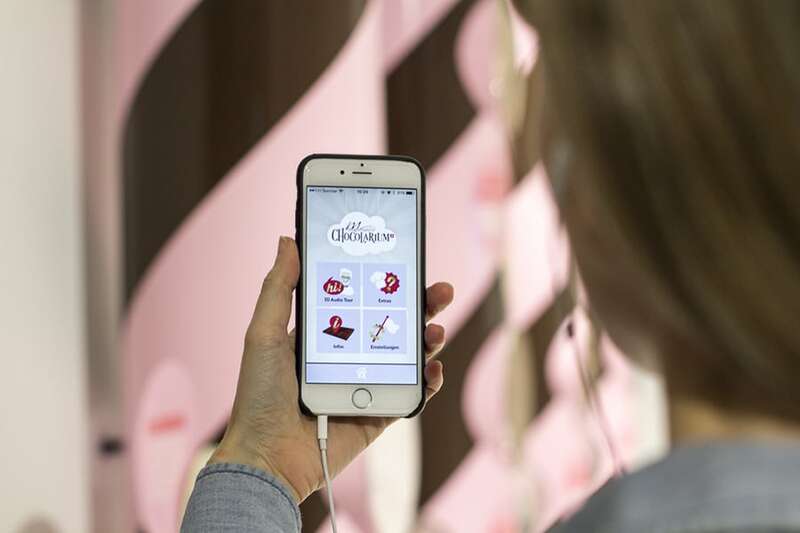 This question is at the heart of the distinctive brand experience that we created for Swiss chocolate manufacturer Maestrani. 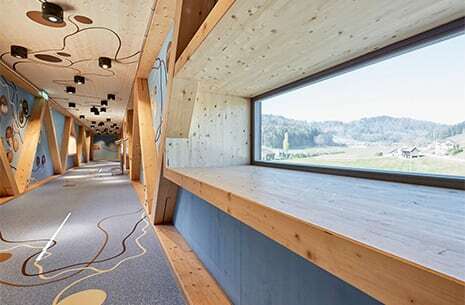 The experience covers 2,000 sqm and can be found in Flawil near St. Gallen. Maestrani’s factory is located on the outskirts of an unremarkable town in north-eastern Switzerland, the three brands all have their own identity and the project involves a new-build. 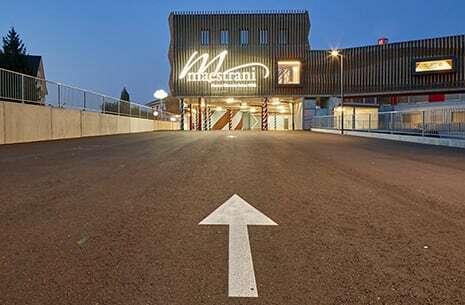 To create an emotional brand experience, attract more visitors to Maestrani’s factory site and focus equally on the three brands Minor, Munz and Maestrani. 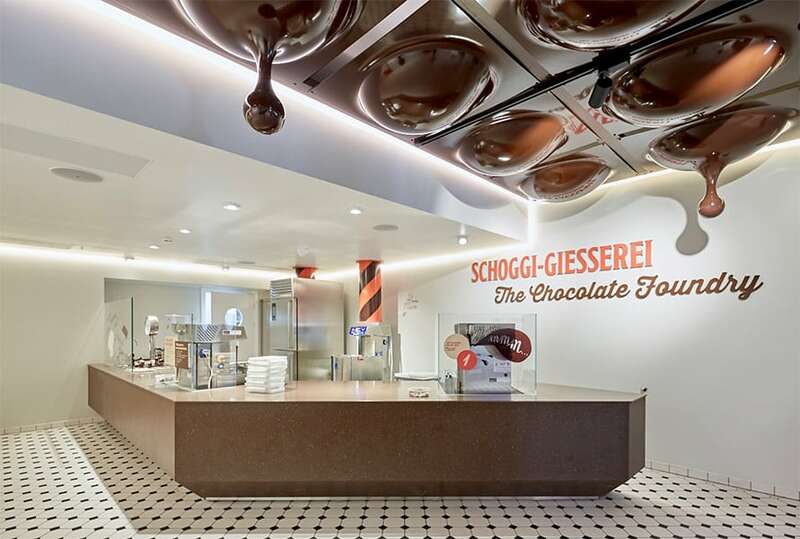 Fun and interaction are top priorities, as well as the challenge to make a chocolate experience that is»unlike any other«. 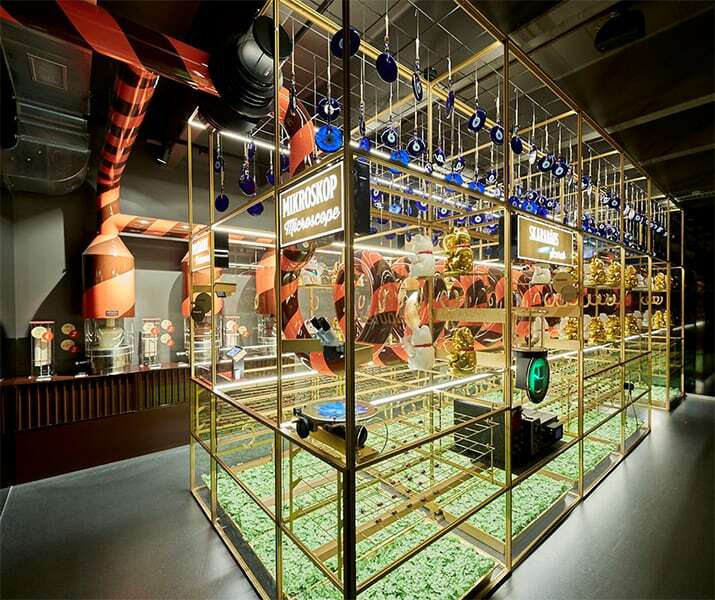 The experience becomes its own brand: Maestrani’s Chocolarium. 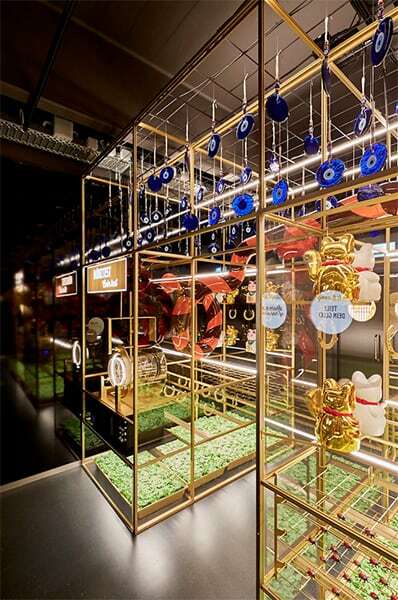 And the Chocolarium becomes more than the usual show of copper cauldrons and wooden spoons. 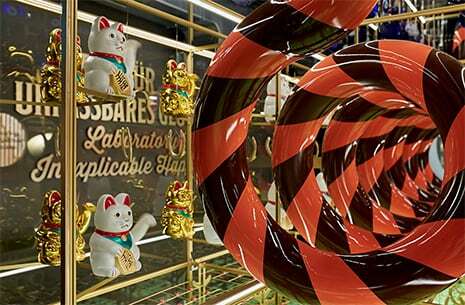 It is a fantastic factory of happiness, a discovery of how happiness gets into chocolate. Because as everyone knows, chocolate makes you happy. The new-build rose from the ground after years of preparation by simple and Maestrani, from architect Thomas Keckeis and planer SMC. 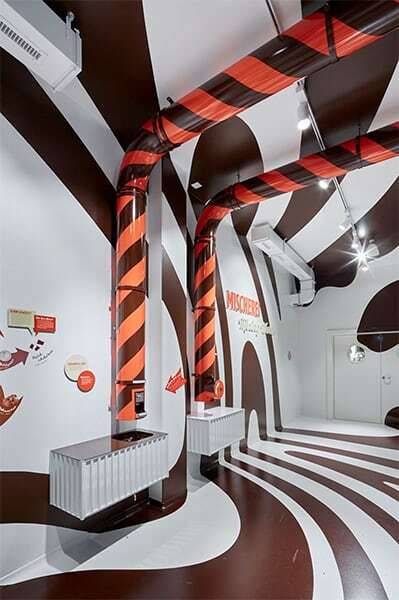 The extension is the attractive street-facing façade of the Chocolarium. 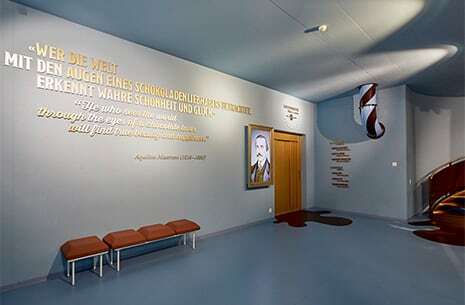 It is the visitor entrance, with foyer, ticket desk, chocolate shop and café. 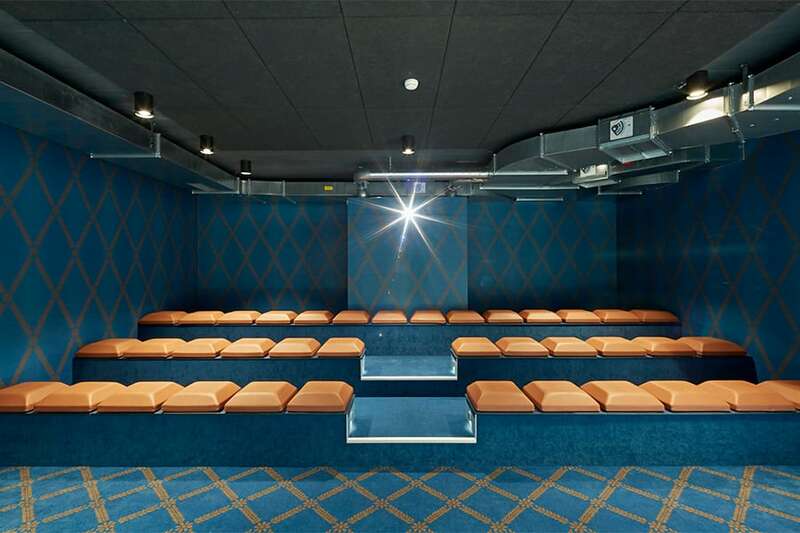 The second floor hosts event rooms and the Maestrani offices. 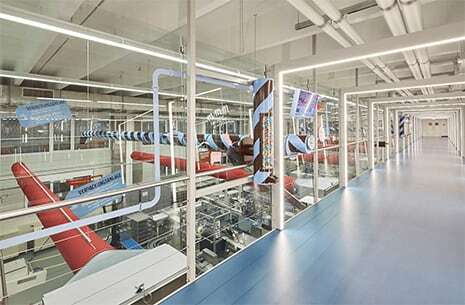 The Chocolarium discovery tour starts in the new-build, goes through the existing factory, before a 50-metre-long bridge takes visitors back into the extension. In the secluded atrium, terraces on two levels offer visitors an area where they can rest and relax. 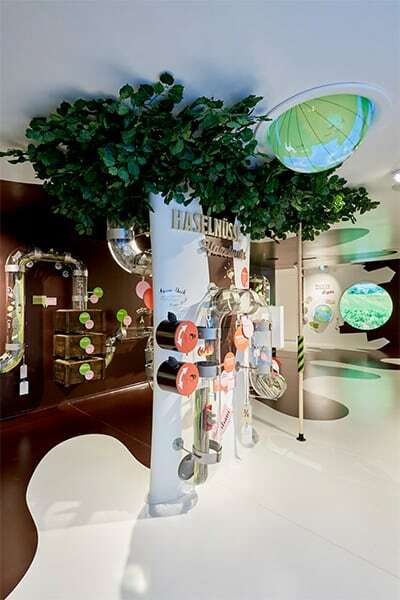 In Maestrani’s Chocolarium, visitors use all their senses to find out in a playful way why chocolate makes people happy. They discover what happiness feels, sounds, looks, smells and tastes like … and, of course, how it gets into chocolate. 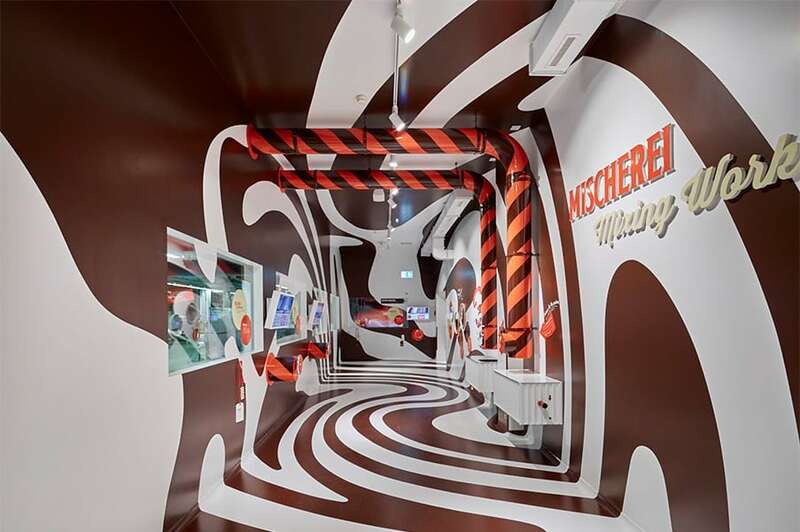 In the striking exhibition rooms, visitors are immersed in the colourful, adventurous and fantastic world of chocolate and happiness. 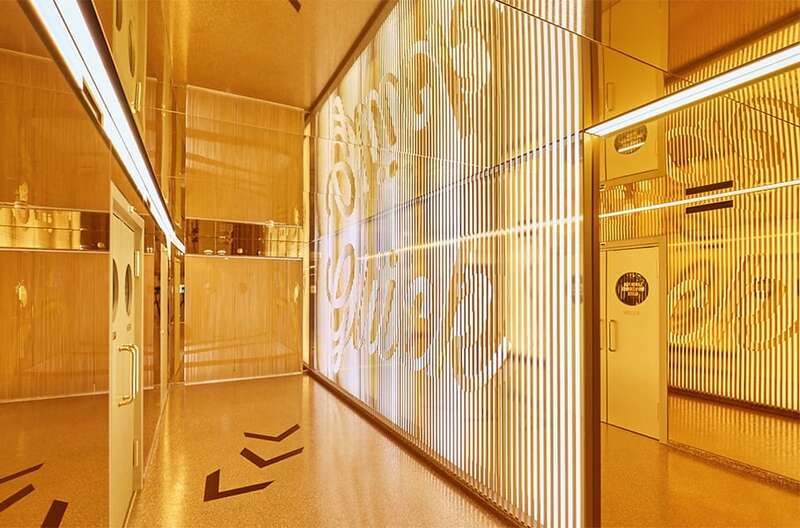 At one point, the room becomes a shower of chocolate, in another, the visitor feels wrapped in golden paper. 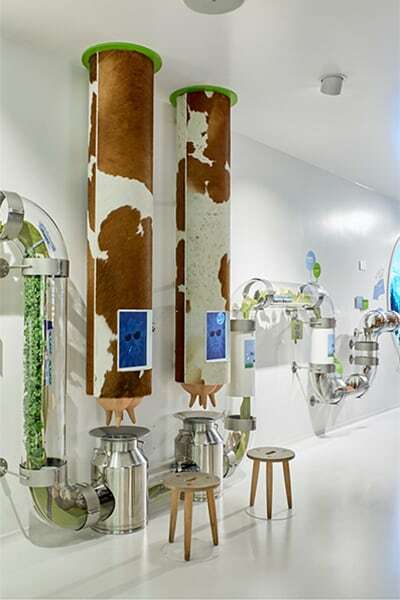 The sound of Swiss dairy cows rings from a »cow bell wishing well« and in an interactive exhibit, visitors smile to trigger a happy feeling. 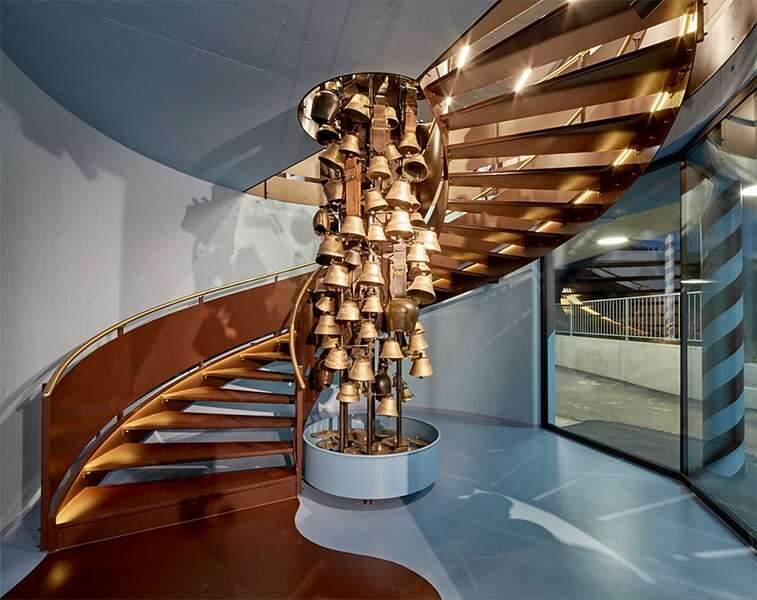 These exhilarating experiences are accompanied by music specially created for the Chocolarium – composed and played by the Zurich Chamber Orchestra – as well as a unique audio guide with 3D sound. 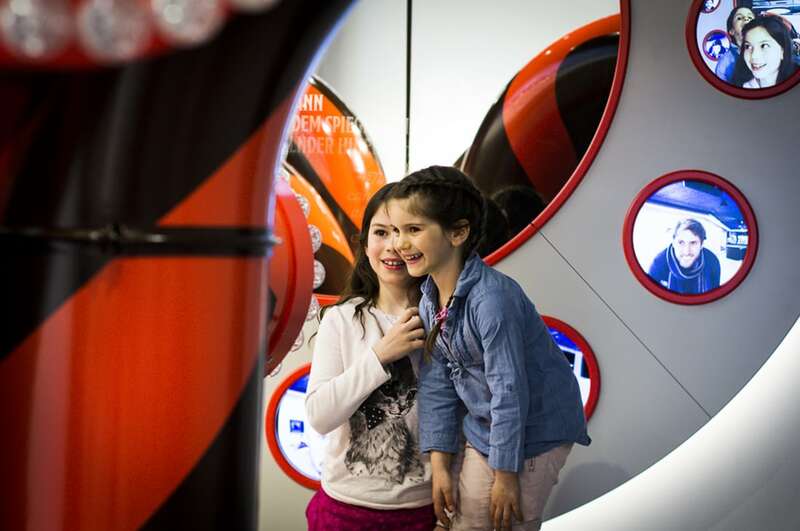 A highlight for young visitors is the kids’ tour which guides them at eye level through the exhibition rooms. 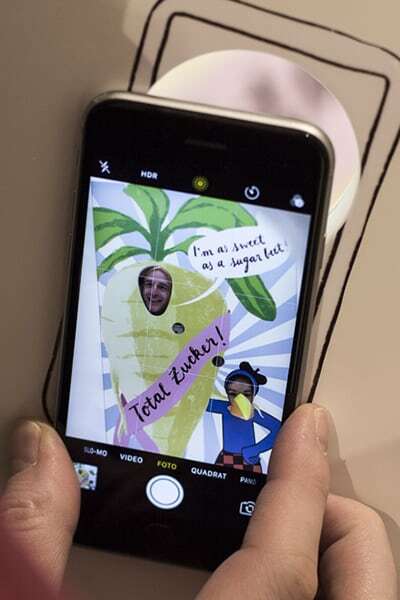 The Swiss cartoon character »Globi« helps locate hidden periscopes, interactive games and brief audio features. 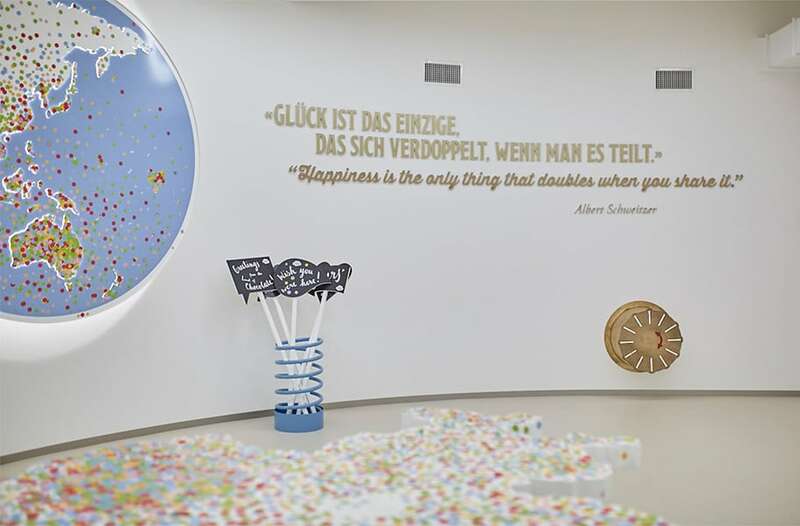 The visit begins with a film in which a »professor of happiness« muses over what one needs to be happy: love, freedom and enjoyment – the pleasure of sweet moments, the indulgence in chocolate. He opens the question: »Chocolate makes you happy, but how does the happiness get into the chocolate?« whereupon he relates findings from his field trips to cocoa farms in Peru and dairies in the Swiss Alps. 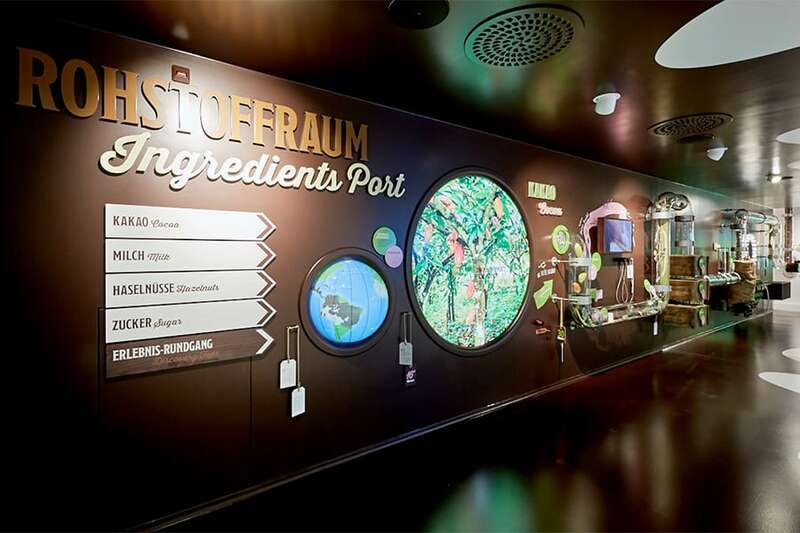 After the film, the screen retracts to reveal the »Ingredients Port«, a room where visitors discover the journeys of milk and sugar from Switzerland, hazelnuts from Italy and cocoa from Peru. They learn that the warm sun of South America, the fair working conditions of the cocoa farmers as well as the pure mountain air and luscious grass of alpine meadows all bring happiness into the ingredients. 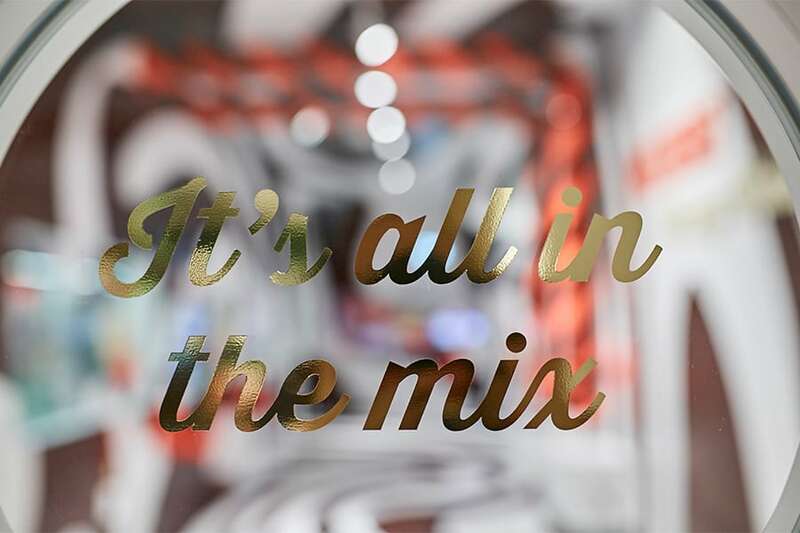 The Ingredients Port is thematically and aesthetically split into two halves: a brown side for the brown ingredients, cocoa and hazelnuts, and a white side for the white ingredients, milk and sugar. 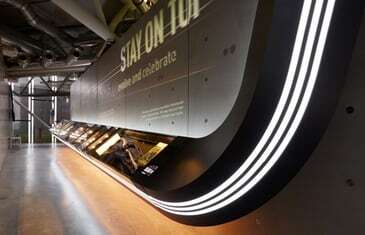 Interactive stations add elements of fun and moments of joy to the tour. All the ingredients come together in the next room, the »Mixing Works«, with a view into the warm part of the real factory, where the ingredients are mixed, rolled and »conched«.The brown and white worlds that met in the previous room now swirl and twirl over the walls, ceiling and floor, continuing the visual metaphor and creating a new spatial experience. 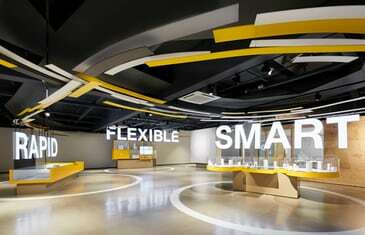 Visitors are invited to smell, taste and feel the mixtures. 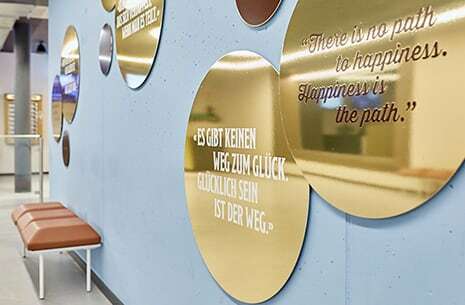 The tour continues through the »Happiness Seal« – a completely golden room – into the »Laboratory of Inexplicable Happiness«. Here, experiments are carried out into metaphysical happiness in chocolate. 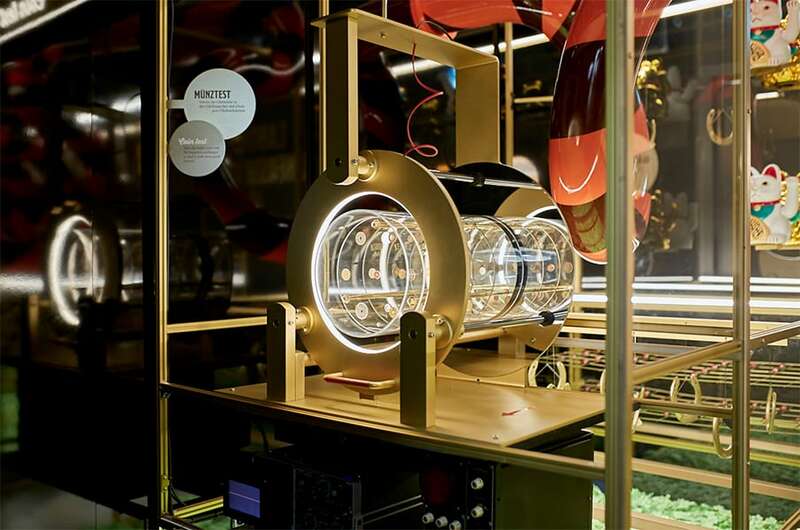 Lucky charms, bringers of happiness and good luck, load happiness into the chocolate, which flows through a huge induction coil. The experiment works, even if you don’t believe in it. 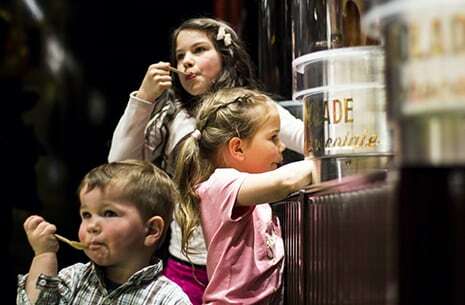 Visitors can taste the freshest, happiest molten chocolate, which flows out of chocolate fountains. 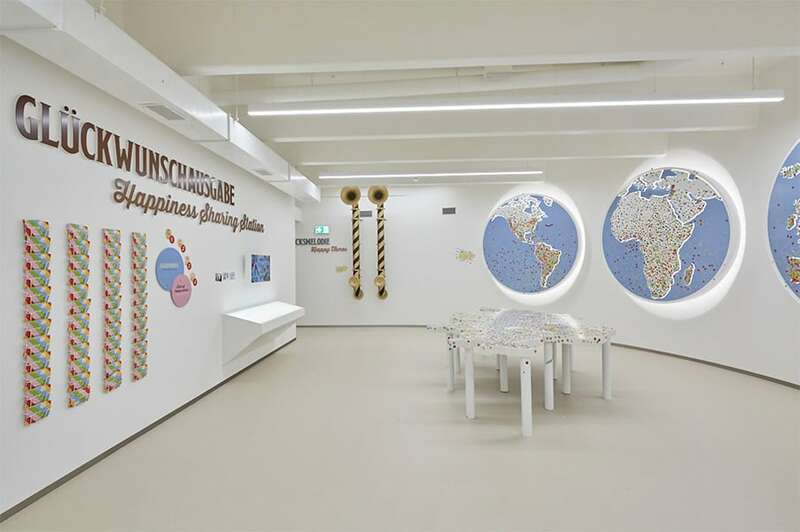 At the »Happiness Sharing Station«, visitors then share their happy feeling. After all, happiness is the only thing that doubles when you share it. They send out well wishes to friends, family or strangers, by sticking a colourful sticker onto a world map. 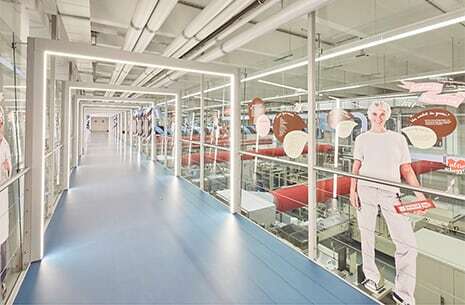 Then it’s back to the pragmatic, through a glass gallery over the factory floor where visitors enjoy views of the chocolate manufacturing processes. Arches of light structure the long passageway. 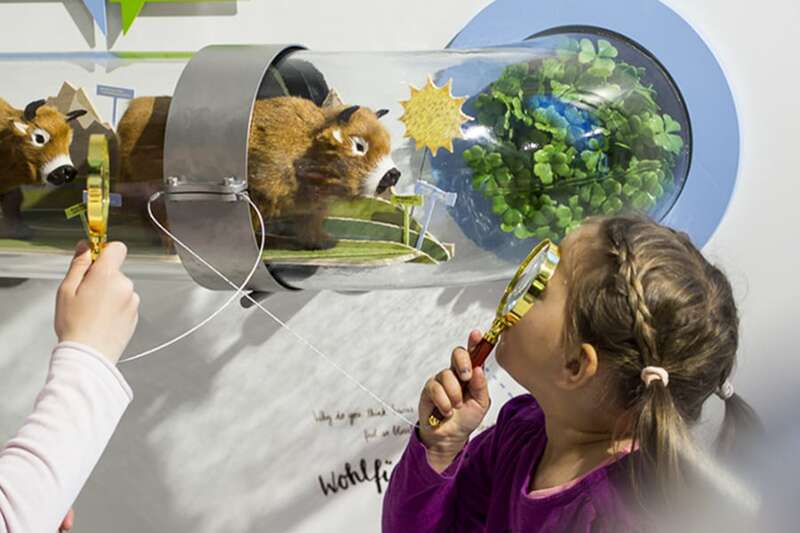 Interactive discovery stations communicate the production process. 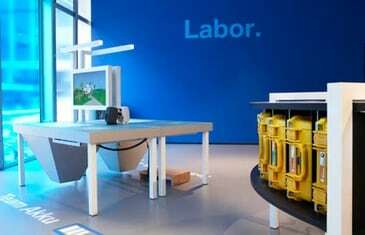 Life-size employee photos and graphics tell stories and fun facts. Visitors learn that organic quality, fair trade and favourable working conditions also contribute towards happiness in chocolate. Happiness can only stay in chocolate if the people making it are happy too! 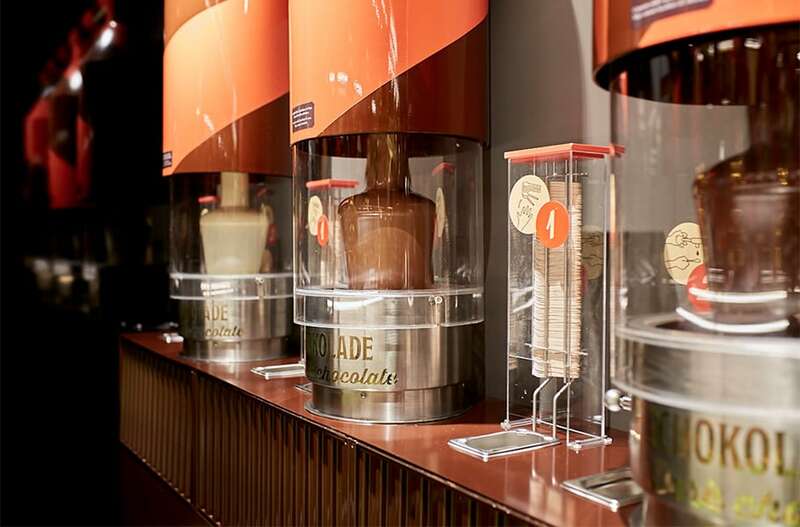 They study Maestrani’s state-of-the-art machines, and learn that new production methods make sure the chocolate with its load of happiness is packed as fresh as possible. Then they test this freshness at tasting stations with Munz, Minor and Maestrani chocolate. 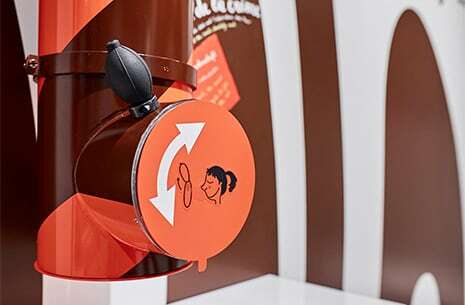 Finally, visitors can make their own chocolate in the »Chocolate Foundry« and find inspiration from the recipe board to share sweet tastes at home. While they are waiting at the cooling tunnel, old Maestrani ads offer light entertainment. 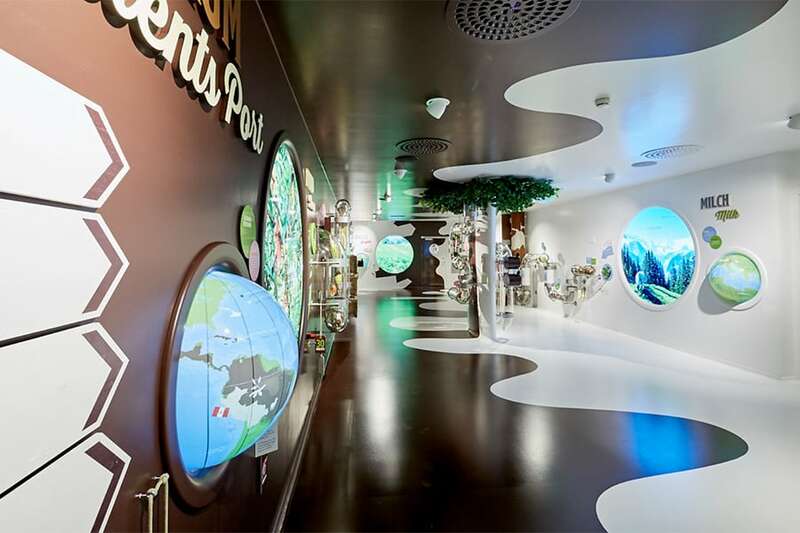 The tour ends with an stroll down memory lane, with three intertwining timelines telling the history of happiness, cocoa and chocolate. 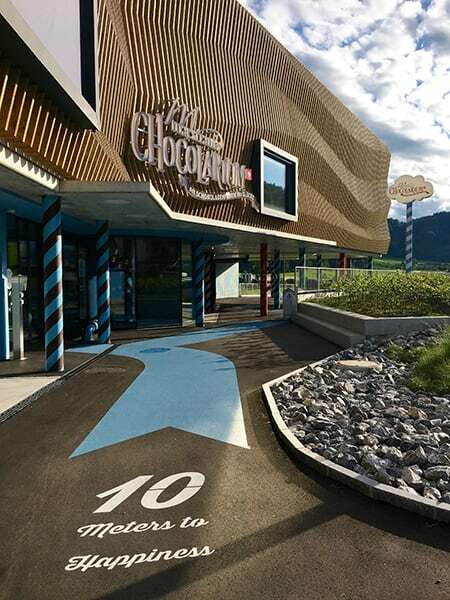 Visitors then land in the shop and café, where they can satisfy any remaining cravings. 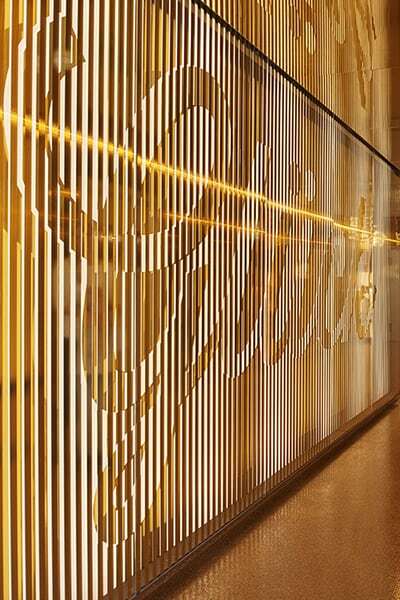 Our interdisciplinary team of experts spent four years designing and producing the brand story and scenography. As the general contractor and creative lead, we were responsible for coordinating all aspects of the spatial experience.